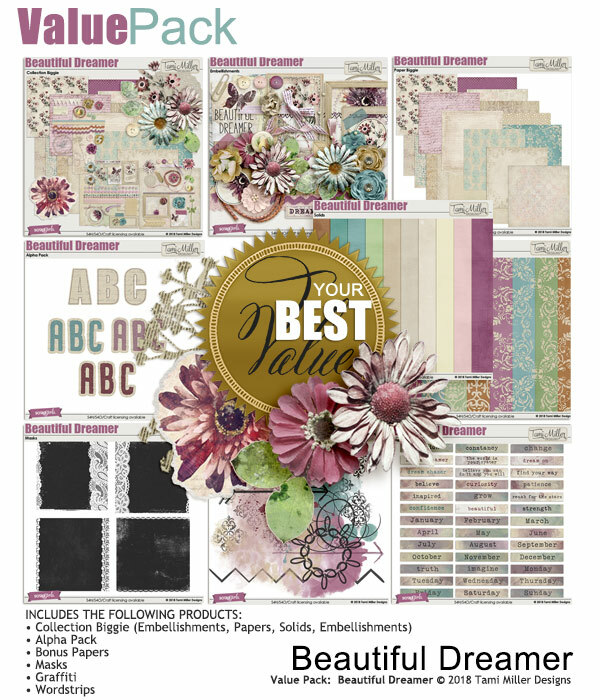 Tami Miller Designs: 40% off sale at Scrapgirls and a freebie! 40% off sale at Scrapgirls and a freebie! My newest creation Beautiful Dreamer is included in the 40% off sale at Scrapgirls. Purchase the value pack and save! Thanks for shopping and have a wonderful Tuesday!